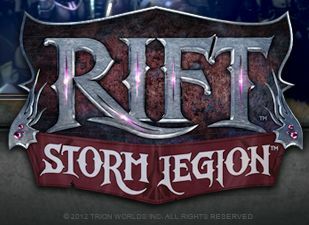 While I was a disappointed in Rift’s PvP news (totally because of my own uninformed assumptions), I’m excited about today’s announcement of the Storm Legion expansion. Specifically the part where they mention 10 more levels, one new soul for each Calling, and tripling the size of the map. Despite my best intentions, I always lose interest in a game once I hit level cap. There are a few games where I continue on, Star Trek Online is one of the few where I continue to play for content, both Cryptic-made and Foundry. Back in January, I was sure I wouldn’t be returning to Telara, but now I imagine I’ll be spending a bit more time there when this expansion releases. I have to hand it to Trion, they really do an amazing job of releasing content. They make all of the other studios look lazy by comparison. Wow yea this looks really good! Don’t know if this means housing but sounds interesting. And yea, once I hit level cap, the game got very un-interesting. I’d come back for this though. Sorry for necro-commenting, but I’m really excited about this. The announcement is the primary reason I headed back to Rift. I’m so glad to see Trion doing so well for themselves. Never apologize for leaving a comment.